In January 1929, Stokowski was not then conducting the Philadelphia Orchestra - between November 1928 and beginning of April 1929, other conductors were leading the orchestra in concert. As was mentioned in the 1928 Stokowski - Philadelphia Recordings page, Stokowski's friend Ossip Gabrilowitsch, who was conductor of the Detroit Symphony from 1918 to 1936, and conducted the Philadelphia Orchestra November 30, 1928 to January 26, 1929, including the Beethoven Ninth. Bernardino Molinari, a champion of the music of Respighi and the conductor of the Augusteo Orchestra of Rome from 1912 to 1944 (and whom Toscanini heavily criticized) conducted the Philadelphians 1, 2 and 4 February 1929. Then followed from 8 February to 2 March Sir Thomas Beecham, at that time working primarily with the London Symphony Orchestra. However, as to recording, Stokowski and the orchestra started the 1929 recording year with two Russian works during the week of 26-30 January 1929. The first Russian work they recorded was a fine performance of Nikolai Rimsky-Korsakov's Russian Easter Overture, opus 36, which they recorded 26 January 1929. This was the first of four commercial recordings of this Rimsky-Korsakov work which Stokowski made, and at least two more concert performances have been captured. The performance is taut and vital, with a beautiful series of violin solos by Mischa Mischakoff, one of his last recorded solos with the Philadelphia Orchestra. The horn themes played by Anton Horner are bracing and demonstrate the virtuosity which the Philadelphia Orchestra had attained. This recording is as vital today as any modern competitive recording, and demonstrates again Stokowski's affinity for the music of Nikolai Rimsky-Korsakov (1844-1908). The 1929 Rimsky-Korsakov - 'Russian Easter Overture' or 'La grande Pâque Russe' Victor 7018, 7019 CVE-48923-1, CVE-48924-3A, CVE-48925-2A, CVE-48926-1 and in Europe on Gramophone HMV D-1676, D-1677. Matrices were CVE-48923-1, CVE-48924-3A, CVE-48925-2A, CVE-48926-1. The sound is beautiful and belies its age after more than eighty-five years have passed. Interestingly, this recording was also part of Victor's launch of Victor long play 33 1/3 RPM recordings on 12 inch (33 cm) disc Victor L-7002 on one side coupled with the 1929 'Capriccio italien' on side B of this long-play record. The second January recording by Stokowski was also of Russian music, a spectacular recording of the Tchaikovsky Capriccio italien, opus 45. This was recorded on Monday and Wednesday, 28 January (for the first side) and 30 January 1929 (for sides 2 to 4) between the normally scheduled concerts of that weekend. The Capriccio italien begins with a noble trumpet solo by Saul Caston in his tenth year with the orchestra and his fifth year as Principal trumpet (and he was still only aged 28.) For the recording era, this was a sonic spectacular. This performance is also noble and inspired, showing none of the excesses or overblown effects of many later recordings which turned this fine music into something of a "pot-boiler" in the wrong hands. This recording was made with a large orchestra of 106 musicians: 18 first violins, 17 second violins, 13 violas, 12 celli, 10 double basses, 4 flutes, 4 oboes, 4 bassoons, 4 clarinets, 6 horns, 4 trumpets, 3 trombones, 1 tuba, 2 harps, 1 timpani and 3 percussion. The recording was issued on two 12 inch Victor Red Seal discs, 6949, 6950. In Europe, the Gramophone Company issued the recording on HMV D-1739 and D-1740. The matrix numbers were CVE-48932-2, CVE-48933-2, CVE-48934-3, CVE-48935-2. Also in Europe issued on Gramophone (Spain) AB-716, AB717. This recording was an interesting inclusion in Victor's attempt to introduce 33 1/3 RPM long play discs, and this recording was included on Victor L-7002 with 1929 'Russian Easter Overture' on side A. I have included some reverberation in the transfer of the sides, which I believe opens up the sound, but also adds a slight echo to the surface imperfections - restoration seems always to be a question of conflicting judgments. These recordings of the Rimsky-Korsakov Russian Easter Overture and the Tchaikovsky Capriccio italien were the last recordings by the Philadelphia Orchestra with their famous concertmaster Mischa Mischakoff (1895-1981). Anne Mischakoff Heiles in her fascinating and finely written and researched biography 5 of her father describes the resignation of Mischa Mischakoff from the Philadelphia Orchestra. 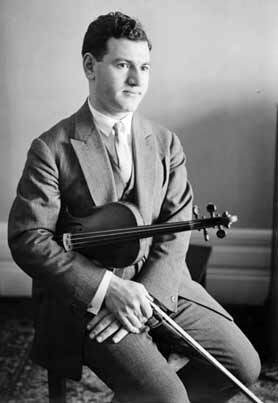 Mischa Mischakoff was Concertmaster of the Philadelphia Orchestra for only two seasons. In the 1928-1929 season, Stokowski only conducted the Orchestra during the first series of 8 concerts in October-November, 1928, and in the last 5 series of concerts in March-April 1929 6. The Mozart Symphony no 40, the work involved in the Mischakoff resignation was performed Saturday March 30 and Monday April 1. Anne Mischakoff Heiles describes the Mischakoff departure: "...During a rehearsal shortly before Easter in 1929 [note: Easter fell on March 31 in 1929], Stokowski complained about the quality of the string tone in an important and difficult passage from Mozart's Symphony no 40 in G Minor. He first asked all the strings to repeat it. Then he called on each player in the first violin section to play the measures one by one in front of the orchestra. At this point, Mischakoff stood up and resigned..." 7. Heiles further observes: "...Some orchestra members believed that Stokowski's behavior at the rehearsal was intended to humiliate Mischakoff. 7" In any case, Mischakoff departed from Philadelphia and went on to become Concertmaster of the New York Philharmonic the next season. Herbert Kupferberg in his interesting book on the Philadelphia Orchestra Those Fabulous Philadelphians states that David Dubinsky, of the second violins joined Mischakoff: "...Mischakoff announced he was leaving the orchestra, and he was joined by David Dubinsky, leader of the second violins..." 8 Dubinsky was also personnel manager of the orchestra. Mischakoff in the interesting interview with Mischa Mischakoff does not mention this incident, but speaks well of Stokowski. Mischakoff showed no ill will towards Stokowski, who although impersonal, and indirectly critical of his musicians, was certainly less personally abusive than many other maestros of that era. On Wednesday and Saturday,10 and 13 April 1929, in the Academy of Music, Stokowski and Rachmaninoff recorded again the Rachmaninoff Piano Concerto no 2 in c minor opus 18. Recall that in January and December, 1924 Rachmaninoff and Stokowski had recorded this concerto acoustically in Camden. 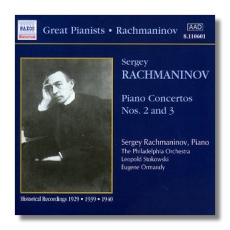 ( see 1924 - Rachmaninoff - Piano Concerto no 2 ) This 1924 recording, while a splendid performance, had two difficulties. First of course was the acoustic recording process, although the 1924 recording was of remarkably good sound, given the limitations of the acoustic recording process. The second drawback was that the first movement was never released during that era. 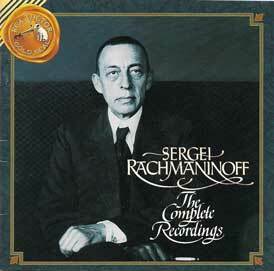 The major part of the first movement was recorded on a twelve inch (30 cm) disc which Rachmaninoff had approved. 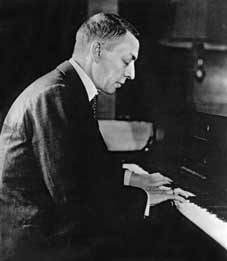 However, Rachmaninoff did not approve of any of the takes of the ten inch (25 cm) discs, which contained the conclusion of the first movement. This conclusion had been recorded in December, 1924, just months before Victor's adoption of the new Westrex electrical recording process. So the 1924 recording, as released, lacked a first movement. Consequently, this 1929 recording gains added importance. What can be said about this famous recording which has not already been said ? Since its initial release on 27 September 1929, it has never been out of the catalogues. It remained in the Victor Red Seal 78 RPM catalogue as long as 78s were sold. It existed in a Victor 45 RPM album: Victor WCT 18. It was then issued on several Victor 33 1/3 RPM LPs, for many years in the US in LM-6123, and in Europe on HMV ALP 1630. This legendary recording was further included the 1973 LP version of "Rachmaninoff: His Complete Recordings" (restored by Ward Marston), and again in the CD version of that same complete edition. Mark Obert-Thorn later engineered two further excellent restorations on Biddulph and on NAXOS Historical CDs (see Masters of the Modern Restoration of Historic Discs ). Interestingly, Mark Obert-Thorn's NAXOS restorations (NAXOS Catalogue 8.110601) are of two different sets of matrix "takes", one being of the matricies used in the Victor release, and the other of alternative matricies residing in the Victor vaults and providing slight, but interesting alternative performance variations. So, this recording has been issued in nearly every recorded format from 78, 45, and 33 1/3 RPM discs, cassettes, 8-track, and CD, and will likely continue in future formats. This recording is also, of course, one of the milestones of recorded history. The National Recording Registry of the U.S. Library of Congress has named this recording one of the 250 (so far) most important recordings in phonograph history 1. Yet, it is also not an easy recording to restore. The RCA Victor engineers, over the years have done this recording some great disservices. I believe that all the Victor reissues so far are over-processed, although of course their restorations have the advantage of access to the metal masters, the best available source. In contrast, Ward Marston and Mark Obert-Thorn have done excellent restorations, although Ward Marston's restoration in the Rachmaninoff Complete Recordings on RCA seems to have been subjected to further RCA engineers "improvements". Mark Obert-Thorn's Naxos Historical restoration of this concerto (Naxos 8.110601) is perhaps the best yet. The restored recording in the links, below, were done by the mastering and restoration engineer Marcos Abreu, and is an excellent and also subtle restoration. You can contact him at Marcos Abreu - Audio mastering and restoration services, email address: mastering@terra.com.br Thanks Marcos ! This recording was issued on five Victor Red Seal 12 inch (30 cm) discs Victor 8148, 8149, 8150, 8151, 8152 in Musical Masterpiece album M-58 released on 27 September 1929. Matrices CVE 48963-2, CVE 48964-1, CVE 48965-1, CVE 48966-1, CVE 48967-1, CVE 48968-2, CVE 48969-1, CVE 48970-1, CVE 48971-1, CVE 48972-1. In Europe, it was released on Gramophone HMV DB 1333, DB 1334, DB 1335, DB 1336, DB 1337 and Gramophone HMV DB 7427, DB 7428, DB 7429, DB 7430, DB 7431, 42-600, 42-601, 42-602, 42-603, 42-604, 42-605, 42-606, 42-607, 42-608, 42-609 and in Australia on Gramophone (Australia) ED-773, ED-774, ED-775, ED-776, ED-777. As was stated in various sources (see Rachmaninoff and Stokowski Disagree on Interpretation ), Stokowski and Rachmaninoff did not always fully agree as to how the performance of his works should go. In fact, during his career, Stokowski, whenever a composer might be present during his rehearsals, and perhaps suggest a change would say "oh! the composer is here and wants a change; let him conduct!". Stokowski would then hand the baton to the flustered composer. 16 It would seem that Stokowski, like a number of other conductors needed to conduct with his concept of the score in order to be fully engaged and effective. Listening to this performance, my own guess is that Rachmaninoff preferred a more fleet performance, while Stokowski was absorbed by the opulence of the music and its sound. This is only a guess, not informed by any source, but in any case, the resulting performance is well coordinated and coherent. I would believe both artists to have been very satisfied with the result, just as we have been, since. In January, April and May of 1929, Stokowski successfully recorded three more of his transcriptions of Bach works. A fourth Bach recording attempt in 2 May 1929, Aus der Tiefe rufe ich was not successful. Recall that in 1927, Stokowski had recorded his transcription of the Bach Toccata and Fugue in d , the Prelude no 8 in e flat from the Well Tempered Clavier, and the Bach Chorale Prelude Ich ruf' zu Dir, Herr Jesu Christ. Now in 1929 he was to record the Passacaglia and Fugue in c minor, Sinfonia from the Christmas Oratorio, and the Chorale Prelude Wir glauben all an einen Gott and the Well-Tempered Clavier Book 1 - Prelude 24 in b minor, BWV 869. 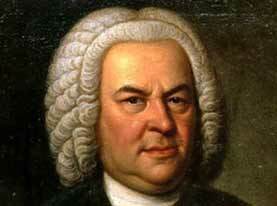 The first of these Bach recordings was of Stokowski's arrangement of the Passacaglia and Fugue in c minor BWV 582. This stokowski.org website refers to Stokowski's scores as "transcriptions" since they are more extensive adaptations of the original than simply an orchestration of the composer's score. Maestro José Serebrier, who has conducted many Stokowski transcriptions for NAXOS and other labels has written a fascinatingly about Leopold Stokowski Transcriptions and Orchestrations with his comments . Of course, Maestro Serebrier's recordings are the best current appreciations of these scores. According to the scholar Rollin Smith, the Passacaglia and Fugue in c minor BWV 582 was the first Bach organ work that Stokowski transcribed for full symphony orchestra, which he did in 1922 3. Stokowski performed the orchestration with the Philadelphia Orchestra in 1922, and in fact, Stokowski performed the Passacaglia and Fugue in c minor several times in every Philadelphia Orchestra season which he conducted between 1922 and 1940, excepting only 1928 and 1933 4. The first of these 1929 Bach transcription recordings was begun 28 January 1929, recording sides 1, 2, and 4 of the Passacaglia and Fugue in c minor. Then, side 3 was completed on 1 May 1929. The Passacaglia and Fugue in c minor BWV 582 is of course one of Bach's most famous organ works, which Stokowski would have performed many times during his career as church organist in England and then in New York City during the period 1898 to 1908. I am not one of those who are "allergic" to orchestrations of Bach keyboard works for orchestra, including some of the more "high calorie" Stokowski orchestrations, I am also not a convinced devotee of all of them. Yet this 1929 Passacaglia and Fugue in c minor is noble and moving recording, reaching or at least approaching, in my opinion, the greatness of the original organ work, and in a new orchestral context. The contrapuntal themes of the original are effectively transformed to the string choirs of the Philadelphia Orchestra, played with luster. This is a grand performance in good sound. This recording was released on four 12 inch (30 cm) sides, Victor Red Seal discs 7090 and 7091 in Victor Musical Masterpiece album M-59, which also contained the Bach Brandenburg Concerto no 2 of 1928 and the Chorale Prelude "Wir glauben all an einen Gott", described below. In Europe, the Gramophone Company issued the recording on HMV D-1702 and D-1703. Also in Europe: Gramophone (France) W-1189, W-1190, Gramophone (Spain) AB-580, AB-581, Electrola (Germany) EJ-580, EJ-581. Matrices were CVE-48927-1, CVE-48928-5, CVE-48929-2A, and CVE-48930-2A. Click below, listen, and judge for yourself the merits of this beautiful and virtuoso performance. On 30 April and 1 May 1929 Stokowski recorded his transcription of the Bach Sinfonia or Pastorale from the Christmas Oratorio (Weihnachts-Oratorium) BWV 248. Stokowski had sometimes performed this transcription in concert during the Christmas season, such as in Philadelphia Orchestra Christmas concerts 25-26 December 1914, 19-20 December 1919, 20 December 1922, 4 December 1928, and 25 December 1930 during a Christmas day radio broadcast 6. Stokowski caused this transcription to be labeled "Shepherds' Christmas Music on the Victor disc. This is an orchestration for full symphony orchestra, with only percussion not being featured. The orchestra for this recording was 18 first violins, 18 second violins, 14 violas, 12 celli, 10 double basses, 4 flutes, 4 oboes, 4 bassoons, 4 clarinets, 3 trumpets, 3 trombones, 6 horns, 1 tuba, 2 harps, 2 percussion, and 1 tympani. This performance is slow and subjective - more than 8 minutes in performance, compared with a typical 5 minutes in modern baroque ensemble performances. The performance is also perhaps more slowly gliding and sentimental than was usual in Stokowski's performances. Also, the orchestration, somewhat heavy to my ears seems to lack the lightness and delicacy which provides grace and beauty in the original work - click below and listen for yourself. The recording was issued on two sides of a Victor 12 inch (30 cm) Red Seal disc 7142, matrices CVE-47965-1 and CVE-47970-1. In Europe, the recording was issued by the Gramophone Company on HMV D-1741. The third Bach-Stokowski transcription was recorded on 28 January 1929 (unsuccessfully) and on 1 May 1929 (successfully). 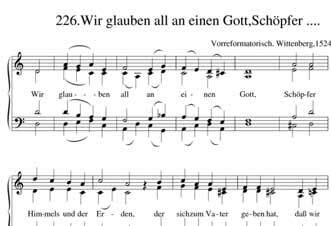 This was of the famous Bach Chorale Prelude "Wir glauben all an einen Gott" ("We all believe in but one God") BWV680, from the from Bach's Clavier-Übung III collection which was published in 1739. This had likely been one of the staples of Stokowski's church organ concerts. Stokowski gave the premiere of this transcription with the Philadelphia Orchestra in a concert on 15 March 1922. It opens with the contrapuntal themes given to the woodwinds contrasting with the orchestral strings. This transcription of this brief organ prelude captures much of the complexity and beauty of the original. The contrapuntal interplay of the sublime organ work is recreated, and this is one of the more successful Stokowski Bach organ transcriptions, which he performed often over the next 45 years. This recording was issued on side B of Victor 12 in (30 cm) Red Seal disc 7089-B matrix CVE 48931-5 in Victor Musicial Masterpiece album M-59. The recording was coupled with the the 1928 recording of the Bach Brandenburg Concerto no 2and Stokowski's 1929 transcription of the Passacaglia in C minor (see above). This M-59 album was released on 29 November 1929. In Europe, the Gramophone Company released it on HMV D-1710 side B and Electrola (Germany) EJ-506, Gramophone (Spain) AB-679, Gramophone (France) W-1063, Gramophone (Italy) AW-102 all coupled with Bach Brandenburg Concerto no 2. The fourth Bach-Stokowski transcription recorded in May 1929 was of the Bach Well-Tempered Clavier Book 1 - Prelude 24 in b minor, BWV 869. Stokowski gives this quiet, contemplative prelude to the lush strings of the Philadelphia orchestra with a continuo support from the sting basses playing pizzicato. This recording was issued on side B of Victor 12 in (30 cm) Red Seal disc 7316 matrix CVE CVE 47974-2 coupled with the 1930 Handel Pastoral Symphony from the Messiah. In Europe, the Gramophone Company issued it on HMV D-1938 coupled with the Handel Pastoral Symphony from the Messiah and also on HMV D-1995 side A coupled with the "Eighteenth century dance", the Hoffstetter (attributed to Haydn) - String Quartet in F major - Andante cantabile. Henry Eichheim was born January 3, 1870 in Chicago, Illinois of parents from Bavaria, Germany. Henry Eichheim's father Meinhard Eichheim (about 1840-about 1905) was cellist with the Chicago Symphony under Theodore Thomas 1891-1892 and 1897-1899. Henry Eichheim studied music and the violin at the Chicago Musical College during the 1880s. For twenty-two seasons, from 1891-1912, Henry Eichheim was in the violin section of the Boston Symphony Orchestra 12. After Henry Eichheim left the Boston Symphony, he turned to composition. Eichheim was attracted to the style of the contemporary French 'Impressionist' compositions of composers such as Debussy and Ravel. Between 1915 and 1935, Henry Eichheim made five extensive trips to the Asia-Pacific region. Leopold Stokowski accompanied Henry Eichheim on part of an Asian trip in 1928. During these voyages, Eichheim collected both Asian instruments, and themes and songs from music he heard in these countries. Inspired by this exposure to Asian music, Eichheim began a series of works including 'Oriental Impressions' Suite (1922), 'Nocturnal Impressions of Peking', 'The Moon, My Shadow and I' (1926), 'Korean Sketches', 'Burma Sketch', 'Chinese Legend', 'Bali' (1931), 'Java' (1929), 13. 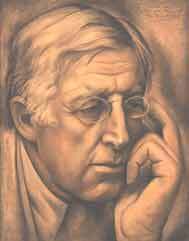 Beginning in 1922, Henry Eichheim lived for many years in Santa Barbara, California, where he died August 22, 1942. Japanese Nocturne from the Suite Oriental Impressions by Henry Eichheim was issued on Victor Red Seal 12 inch (30 cm) disc Victor 7260 side B, coupled with Salome-Dance of the Seven Veils, listed below. In Europe, the Salome/Japanese Nocturne coupling was issued by the Gramophone Company on HMV D-1935 and D-1936. The Eichheim matrix number was CVE-47964-3. On Monday and Tuesday, 29 and 30 April 1929 Stokowski and the Philadelphia Orchestra recorded the Brahms Symphony no 2 in D major in the Academy of Music in Philadelphia. With this recording, Stokowski and the Philadelphia Orchestra were well on their way to their achievement of being the first conductor and orchestra to have recorded a complete Brahms symphony cycle. This recording by Stokowski and the Philadelphia Orchestra from 1929, and the Sir Thomas Beecham - London Philharmonic recording from March, 1936 (in Europe on Columbia LX-115, LX-116, LX-117, LX-118, LX-119) were the two dominant recordings of the Brahms Symphony no 2 during the 1930s. Later in the mid 1930s for Columbia, Felix Weingartner completed his Brahms symphony cycle with a fine recording with the London Symphony Orchestra on European Columbia LX 899, LX-900, LX-901, LX-902, LX-903. This Stokowski recording shows the Philadelphia Orchestra in excellent form. The second movement tends to be slow and somewhat 'episodic'. Also, there is a in the second movement in some earlier Victor sets, including, unfortunately mine (I am looking for a better copy). Stokowski did record the second movement complete, and the shortened side in the second movement seems to have been done by Victor, concerned with side length and stylus tracking. Those who have a "Z pressing" or a later version of the album will have an uncut second movement. The third movement, with its light, rhymic pace is perhaps the most successful of this 1929 performance. Stokowski's next commercial recording of the Brahms Symphony no 2 was with the "National Philharmonic" made in April, 1977 - 48 years after this Philadelphia recording !. The orchestra for the 1977 London recording was made up of leading London freelance musicians. 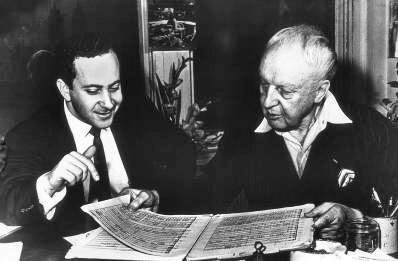 In 1977 it was of course one of Stokowski's last recordings. This 1929 Brahms Second is clean and well-played with just a hint of portamento in the lush strings. The microphone placement varies by movement, but generally is somewhat closer that many other Stokowski - Philadelphia recordings of that period, with the woodwinds therefore in particular being highlighted (except in the final movement) in a sympathetic way, given the virtuoso playing. This is a relaxed performance, never driven. This recording was issued on six 12 inch (30 cm) Victor Red Seal discs, catalogue numbers 7277, 7278, 7279, 7280, 7281, 7282 in Victor Musicial Masterpiece album M-82, matrices first movement: CVE 47951-3, CVE 47952-2, CVE 47953-2, CVE 47954-2, second movement: CVE 47955-3, CVE 47956-2 or CVE 47956-3A, CVE 47957-2, third movement: CVE 47959-1, CVE 47960-2, third movement: CVE 47961-2, CVE 47962-2, CVE 47963-4. In Europe, it was issued on the Gramophone Company HMV discs D-1877, D-1878, D-1879, D-1880, D-1881, and D-1882. A note: unfortunately in the Second Movement of this symphony, there are two versions of side 5 of this album: one is 45 seconds shorter than the other version, presumably because the longer version approached the limit of a side of a 78 RPM 12 inch disc. The shorter version allowed a more normal, easier to track matrix, but imposed a 45 second cut to this Second Movement. Unfortunately, I do not have a good copy of the longer, full version of side 5, so the .mp3 file is of the cut version until I find a better copy. On 1 May 1929, Stokowski and the Philadelphia Orchestra recorded the "Dance of the Seven Veils" from Richard Strauss's 1905 opera Salome opus 54. "...Nuages renders the immutable aspect of the sky and the slow, solemn motion of the clouds, fading away in grey tones lightly tinged with white..."
A nearly solo role is allotted to the English horn in Nuages, presumably played here by Marcel Dandois. 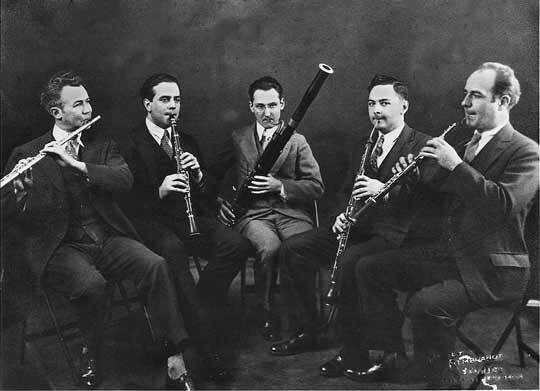 1928-1932 saw a series of English horn soloists with the Philadelphia Orchestra. In December, 1928 in mid-season, Leopold Stokowski dismissed Victor Leoncavallo as English horn, and hired Marcel Dandois. Dandois's contract at the end of the 1928-1929 season was not renewed the next season, and Joseph Wolfe was appointed, and remained one season 1929-1930. Wolfe was succeeded by Max Weinstein for two seasons. In 1932-1933, Stokowski appointed Robert Bloom as English horn, who went on to a famous career. Debussy - Nuages on a 12 inch (30 cm) Red Seal disc was not released until 1931 in Victor Musicial Masterpiece album M-116 with the 1930 recording of Stokowski's Transcription of Debussy's La cathédrale engloutie and the 1931 recording of Debussy Danses Sacrée et Profane. The matrices for Nuages were CVE-46478-4, CVE-46479-4. In Europe, it was released by the Gramophone Company on HMV DB-1614. "...John de Lancie remembered Tabuteau's story of how the record came to be made in May 1929. 'Stoki called him up one morning and said, "I would like to record the Swan tomorrow." Tabuteau didn't even have an English horn. He got on the train and went to New York to rent an instrument. He then came back to Philadelphia the same evening, sat up all night in his studio making English horn reeds, then went in the next morning and recorded it'."2. Please pick up a copy of Leila Storch's excellent biography: Marcel Tabuteau: How Do You Expect to Play the Oboe If You Can't Peel a Mushroom?, from Indiana University Press. I guarantee you will read it more than once, it is so much fun 2. This is a hauntingly beautiful performance of this famous Sibelius tone poem, based on the Finnish Kalevala saga. In this work, Lemminkainen, the hero of the saga is charged to kill the mystic swan that swims around the island of Tuonela, isle of the dead. Lemminkainen himself is killed by a poisoned arrow, but revives in the next part of the saga. This tone poem is famous for the long English horn solo throughout the work, which represents the swan. It also has important oboe parts, presumably taken up by one of Tabuteau's oboe colleagues, probably Louis di Fulvio. This beautiful recording was issued by Victor on a Red Seal 12 inch (30 cm) disc 7380 with matrices CVE 47973-1 and CVE 47980-1. In Europe, the Gramophone Company issued the recording on HMV D-1997. Also: Gramophone (France) W-1188 and Electrola (Germany) EJ-705. 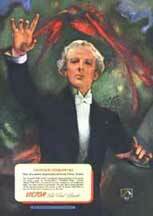 Stokowski on May 3 and 4, 1929 recorded his suite of excerpts from Georges Bizet's incidental music to L'Arlésienne. Georges Bizet (1838-1875) adapted two suites from his incidental music to a play by his contemporary Alphonse Daudet (1840-1897). The play, presented on October 1872, was not particularly successful, so Bizet used the music not only in the two suites, but also as arranged for piano four hands. The original score consisted of 27 musical sections, and the original orchestration was for only 26 musicians. However, the next month, Bizet re-orchestrated part of the music in to a four movement suite, which was a great success at the famous Cirque d'Hiver de Paris. After Bizet's death, his friend Ernest Guiraud (1837-1892) arranged the original music to L'Arlésienne into a second suite, adding music from Bizet's opera La Jolie Fille de Perth. Stokowski's suite is essentially the L'Arlesienne Suite no 1, with the addition of a Danse provençale, which is the Andantino from the Pastorale of the L'Arlesienne Suite no 2. Stokowski inserts this dance between the Adagietto and the concluding Carillon of the Suite no 1. Georges Bizet's L'Arlesienne Suite was recorded 3 and 4 May 1929 in the Academy of Music. The suite was issued on five Victor 12 inch (30 cm) Red Seal sides, contained in Musical Masterpiece Album M-62. L'arlésienne Prélude on matrices CVE-47981-2, CVE-47982-1 was issued on Victor 7124 and in Europ on Gramophone HMV D-1801, Gramophone (France) W-1089, and Electrola (Germany) EJ-554. Minuetto and Adagietto were on CVE-47983-2 and later CVE-47983-3, CVE-47984-1 and later CVE-47984-2 on Victor 7125 and in Europe Gramophone HMV D-1802, Gramophone (France) W-1090, and Electrola (Germany) EJ-555. 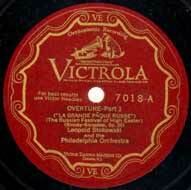 The third Victor Red Seal disc containing the Danse provençale and Carillon, matrices CVE-47985-2 and CVE-47986-1 were issued on Victor 7126 and in Europe on Gramophone HMV D-1803, Gramophone (France) W-1091, Electrola (Germany) EJ-556. On 4 May 1929, Stokowski and the Philadelphia Orchestra recorded the Rondo Gavotte from the beginning of Act 2 of the Ambroise Thomas opera Mignon. This opera was composed about 1864-1865 and given its debut in Paris at the Opéra-Comique in November 1866. Thomas wrote some 20 operas, not worrying too much if the libretto was good or bad. His masterpiece, Mignon (1866) was continuously popular during the Nineteenth Century. Mignon is also an example of the type of libretti of Thomas operas - in the story, Mignon is a child abducted by gypsies (you get the idea). In later years this gifted composer became Director of the Paris Conservatoire, grew heavy and became a fixture of the musical establishment. 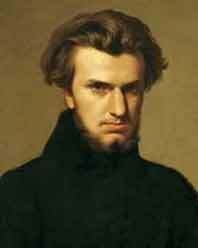 He was elected to the Académie française in 1851, in preference to Berlioz. Thomas (born in 1911) lived to see the one-thousandth performance of Mignon in 1894, after which performance Thomas was presented with the Cross of the Legion of Honor. Two orchestral excerpts from Mignon continue to be popular today: the Overture to Act 1, and this Rondo Gavotte which acts as entr'acte music played at the beginning of Act 2. In the opera, this music is also used by Thomas in the famous "Me voici dans son boudoir" sung by Frederick. This 4 May 1929 recording was issued on side B of the Victor Red Seal 12 inch (30 cm) disc Victor 7456 matrices CVE-47987-2 in Musical Masterpiece album M-116, coupled with the 1931 Debussy Danses sacrée et profane. In Europe, the Gramophone Company issued it on HMV DB-1643. Just after recording the Rondo Gavotte from Mignon, on 4 May 1929 Stokowski and the Philadelphia Orchestra also recorded two short Stokowski orchestrations of eighteenth century chamber music works: the third movement of the Boccherini String Quintet no 1, and a movement of a String Quartet attributed to Haydn, but now known by scholars to have been written by Romanus Hoffstetter (more below). This 1929 recording demonstrates the suave and delicate abilities of the Philadelphia Orchestra string section. As with most Philadelphia recordings of this period, the sound is clean and transparent. This recording, which still provides joy today after 80 years, was issued on a Victor 12 inch (30 cm) Red Seal disc Victor 7256, and in Britain on the Gramophone Company disc HMV D-1864, from matrix CVE 47988-3. The Hoffstetter - Haydn Quartet movement, below, was on the flip side. On the other side of the Boccherini Quintet, Stokowski and the Philadelphia Orchestra recorded a work long attributed to Franz Josef Haydn, but now known to have been written by the Haydn contemporary Romanus Hoffstetter (1742-1815). Hoffstetter admired Haydn, and emulated his style. Also, it may be that Paris music publishers of that period represented Hoffstetter's quartet compositions as being by Haydn, so as to increase sales of the music. In any case H. C. Robbins Landon has put forward a convincing analysis that the opus 3 works are not by Haydn, but rather by Hoffstetter - although scholars still argue the point (which they may enjoy doing !). In any case, we have the benefit of enjoying the music. This second movement of the String Quartet in F major, opus 3, no 5, Hob III-17, marked Andante cantabile has long been a popular orchestral show-piece for the strings in various orchestrations, including for decades prior to Stokowski's orchestration. Stokowski and the Philadelphia Orchestra recorded this work in December, 1924 in an acoustic recording, but it was never released. Perhaps Stokowski did not approve the recording, or perhaps the advent of the electrical recording process a few months later caused Victor to decide against release of the disc. In any case, Stokowski re-recorded the work in this beautiful 1929 electrical version with virtuoso playing by the orchestra. He instructed that the disc be titled "Eighteenth century dance"
This recording was issued on a Victor Red Seal 12 inch (30 cm) inch disc 7256, matrix CVE 47989-1. In Europe, the Gramophone Company issued it with two different couplings: Gramophone HMV D-1864-B with the Boccherini Minuetto and Gramophone HMV D-1995-B with Bach - Prelude 24 in b minor. In Germany, it was issued on Electrola EJ-584 with the Boccherini Minuetto. On Monday through Friday during the week of 23-27 September 23-27, 1927, Stokowski and the Philadelphia Orchestra recorded a series of new recordings in the Academy of Music. This was a week before the regular Philadelphia Orchestra season opened on Friday, 3 October 1929. In that era, the Philadelphia Orchestra season was from the beginning of October until the end of April each year. It was only in the 1960s, with leading orchestras seeking to provide year-around employment for their musicians that the main orchestral season was extended from September to May. During this week, a full recording program included the Wagner Overture and Bacchanale music from Tannhäuser, Le Sacre du Printemps by Stravinsky, the Saint-Saëns Carnival des animaux, and two marches by Sousa: El capitán and Stars and Strips Forever. This was the full recording program until Stokowski and the Philadelphians returned to recording in March 1930. Between these two recording sessions, the Wall Street crash leading to the great economic depression that was to so effect the Orchestra, and the world in general. 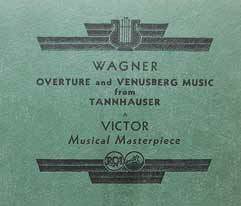 1929 - Wagner - Tannhäuser - Overture and "Venusberg Music"
When Stokowski and the Philadelphia Orchestra began their Autumn recording sessions from 23-27 September 1929, they began with the Overture and "Venusberg Music" from Wagner's opera Tannhäuser. This was from the 1861 Paris version of the opera, except without chorus, which is in the original Paris score. 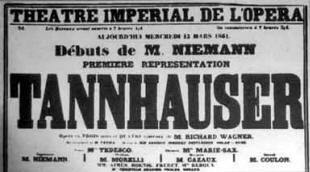 Recall that Stokowski had recorded, acoustically in 1921, the Dresden version of 1845 of the Tannhäuser Overture , which is without a Bacchanale scene, added for the 1861 Paris Opera staging, which required a scene for ballet. Incidentally, although the 1921 acoustic recording of the Tannhäuser Overture is sonically ancient, it remains a moving and beautifully played performance, which it is difficult to believe could have been captured within the limitations of the old acoustic recording process. This music was recorded over a period of some seven months, which presents some problems in the transcription of the music. The Tannhäuser Overture and "Venusberg Music" takes up six full 78 RPM sides. The first session of September 23, 1929 produced side 3 (matrix CVE 51878-2) and the final two sides 5 and 6 (matrices CVE 51880-1A, CVE 51875-2). Sides 1 and 2 (matrices CVE 51876-5A, CVE 51877-5A) were taken from the March 14, 1930 session, but apparently, yet another session was necessary to record a satisfactory side 4 (matrix CVE 51879-4A). Meanwhile, the changes in recording set-up, orchestra placement, microphone placement must have been significant between sessions, since the acoustic picture is noticeably different from session to session. This presents the difficulty to achieve sound continuity from side to side. This is done primarily through equalization to seek to produce a similar sound space. There are limitations (at least in technology available to this stokowski.org site) as to achieving such a balance between sides. Particularly difficult is the transition between sides 3 and 4. However, this is a beautiful and well-recorded performance, from which you are likely to gain much satisfaction. This recording was issued on three 12 inch (30 cm) Victor Red Seal discs 7262, 7263, 7264 in Musical Masterpiece album M-78. Matrices were CVE 51876-5A, CVE 51877-5A, CVE 51878-2, CVE 51879-4A, CVE 51880-1A, and CVE 51875-2. In Europe it was issued by the Gramophone Comany on HMV D-1905, D-1906, D-1907, and Gramophone (Spain) AB-701, AB-702, AB-703, and Electrola (Germany) EJ-648, EJ-649, EJ-650. Stravinsky's ballet Le Sacre du Printemps was first performed on 29 May 1913 at the Théâtre des Champs-Élysées in Paris at a legendary concert conducted by Pierre Monteux. The full score of Le Sacre was not published until 1921, primarily due to the intervening war years, and there were consequently few performances prior to this 1921 publication. However, Leopold Stokowski and the Philadelphia Orchestra soon after performed what seems to have been the US premiere of Le Sacre at a concert on March 3, 1922. Abraham Chasins in his excellent Stokowski biography Leopold Stokowski - A Profile 11, states that Pierre Monteux gave not only the world premiere in 1913, but the U.S. Premiere. Other sources also cite this information, but the earliest Monteux performance of Le Sacre du Printemps which I have located was by the Boston Symphony in Boston and then New York City in a concert series during the last week of January, 1924. This is an perhaps interesting, although certainly a minor debate, which may be resolved by further primary research. After his 1922 performance, Stokowski next presented Le Sacre du Printemps in 1929, when he performed the work during the Philadelphia Orchestra's first radio broadcast on Sunday afternoon, 3 November 1929 6. Stokowski and the Philadelphians also performed the work in a famous staged version the following spring in April, 1930. Before the 1929-1930 performances, on 24 and 25 September 1929 in the Academy of Music, they recorded Le Sacre du Printemps with another side re-recorded during their next recording session on March 12, 1930, a total of eight 78 RPM sides. These sessions had followed unsuccessful attempts on 7 April 1927 and 2 May 1929. Again, this was not the first recording of Le Sacre du Printemps, since Monteux had been first. Monteux made a Gramophone Company recording (with significant cuts from the score) in Paris with the Grand Orchestre Symphonique earlier in 1929 on Gramophone W 1016, W 1017, W 1018, and W 1019. Listening to this pioneering Stokowski recording, we can sense the difficulty of this music for the musicians. Although this work is now part of the core repertoire of any of the world's symphony orchestras, it was then beyond the normal repertoire and performing tradition, even for musicians of the caliber of the Philadelphia Orchestra. This difficulty was not only in the performance, with complex rhythms and note combinations, but likely also in the challenge for both musicians and audiences to find empathy with music so foreign to the repertoire of the era. Yet this pioneering performance and recording is excellent, both in the dynamic range of the recording and in the performance. However, there are over-modulated sections on these matrices, and good pressings are difficult to find. This is in spite of the fact that this recording remained in the Victor catalog until about 1951. In particular in this recording, listen to the beautiful opening bassoon solo by Walter Guetter. 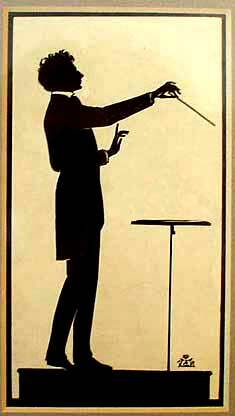 Walter Guetter jointed the Orchestra briefly in early in 1915, being only age 19. 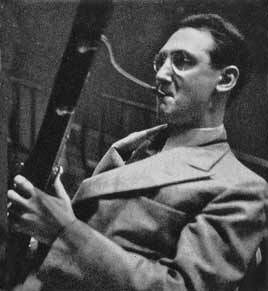 He then went to the Chicago Symphony Orchestra as Principal bassoon, and subsequently returned to Philadelphia in 1922 as Principal bassoon at age 27. Click on the link that follows to read more about the career of Walter Guetter in the page describing the Principal musicians of the Philadelphia Orchestra in this www.stokowski.org website. This fine recording was issued by Victor on four 12 inch (30 cm) Red Seal discs: Victor 7227, 7228, 7229, 7230 in Musical Masterpiece album M-74. Matrices were CVE 37471, CVE 37472, CVE 37473, CVE 47975, CVE 47976, CVE 47977, CVE 47978, CVE 47979. In Europe, it was issued by the Gramophone Company on HMV D-1919, D-1920, D-1921 and D-1922, and in Germany on Electrola EJ-626, EJ-627, EJ-628, EJ-629. Click the links below to listen to (or download) this beautiful 1929 recording, organized according to the two parts of Le Sacre, as labeled by Stravinsky: Part I - Adoration of the Earth, and Part II - The Sacrifice. On September 26 and 27, 1929, Stokowski recorded the Camille Saint-Saëns Carnival des animaux (Carnival of the Animals). Carnival des animaux has proved to be one of Saint-Saëns' most popular works; far more often played than, for example, the five Saint-Saëns piano concerti, which are of a high quality. However, it seems that Saint-Saëns was concerned that Carnival des animaux would be considered frivolous, and undermine his musical reputation. Saint-Saëns did not allow the work to be published during his lifetime, except the famous music of the Swan movement. Listed below are the movements, and also indicated is how they fall in the two .mp3 music files, Part 1 and Part 2 (my organization, which is not in the Saint-Saëns score) which you can download. This recording shows off the virtuoso nature of the Philadelphia Orchestra of that era: the flute of William Kincaid, the clarinet of Daniel Bonade, the cello of Willem van den Berg, the bass of Anton Torello (1884-1960) who was Principal bass of the Philadelphia Orchestra for 33 seasons. The two pianists were Olga Barabini (1900-1980) and Mary Binney Montgomery (later Mary Binney Wheeler, 1907-1995). The Saint-Saëns Carnival des animaux was issued on three 12 inch (30 cm) Victor Red Seal discs in 1930 Victor 7200, 7201, 7202-A in Musical Masterpiece album M-71 coupled with 1928 Tchaikovsky Song without Words, opus 40 no 6 on the B side of the final disc. Matrices were CVE 51881-2A, CVE 51882-2A, CVE 51883-1A or CVE 51883-2, CVE 51884-2A, CVE 51885-4. In Europe, it was issued on Gramophone HMV D-1992, D-1993, D-1994 and Gramophone (Spain) AB-709, AB-710, AB-711 and Gramophone (France) W-1184, W-1185, W-1186. In 1929, just as today, "pops" recordings by a famous orchestra, such as the Philadelphia Orchestra were best-sellers. Such sales were important, not only for Victor revenue, but also for the royalty income enjoyed by Stokowski and the Philadelphia Orchestra. The two recordings of John Phillip Sousa marches made on September 27, 1929 were best-sellers, and made up for Victor for several Henry Eichheim recordings (to pick as an example this poor-selling recording). From this recording session, "El Capitan" and "Stars and Stripes Forever" were issued on Victor 1441, a 10 inch Red Seal recording which stayed in the Victor catalogs continuously until the end of the 78 RPM era. Matrices were BVE-51886-2 and later matrix BVE-51886-5A for "El Capitan" and BVE-51888-4 for "Stars and Stripes Forever". 7 page 88-89 Heiles, Anne Mischakoff. Mischa Mischakoff, Journeys of a Concertmaster. op. cit. 9 Page 59. Kupferberg, Herbert. Those Fabulous Philadelphians. op. cit. also page 297. Daniel, Oliver Stokowski A Counterpoint of View. Dodd, Mead. New York 1982 ISBN 0-396-07936-9. also page 398. Heiles, Anne Mischakoff. America's Concertmasters. Harmonie Park Press, Sterling Heights, Michigan. 2007. ISBN-13 978-0-89990-139-8. 10 Arnold, Claude Graveley, C.S.B. The Orchestra on Record, 1896 - 1926, An Encyclopedia of Orchestral Recordings Made by the Acoustical Process . Discographies, Number 73, Greenwood Press, Westport Connecticut. 1997. ISBN 0-313-30099-2. 12 Howe, Mark Antony De Wolfe The Boston Symphony Orchestra: An Historical Sketch. Houghton Mifflin Company. Boston and New York. 1914. 13 Howard, John Tasker Howard Our Contemporary Composers - American Music in the Twentieth Century. Pierce Press. March 2007. ISBN-13: 9781406742749. 14 Hunt, John. Leopold Stokowski 1882-1997 Discography and Concert register. Published by John Hunt. Exeter. 1996. ISBN 0-952827-5-9. 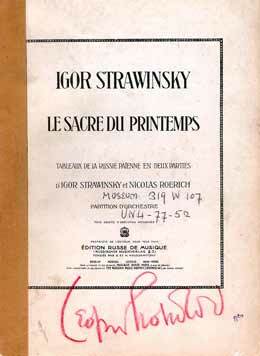 15 Stravinsky, Igor and Craft, Robert Expositions and Developments. University of California Press. Berkeley and Los Angeles, California. 1962. ISBN: 0-520-04403-7. 17 Storch, Laila. Marcel Tabuteau "How Do You Expect to Play the Oboe If You Can't Peel a Mushroom?". Indiana University Press. Bloomington. 2008. ISBN-13 978-0-253-34949-1.